Strong, Dependable, and Professionally-Crafted. We start with a thick cowhide and mix a special blend of rich burgundy color with oil-tanned effects. Designed with seven holes for close-fitting comfort. 38mm or 1-1/2" wide with our snap system to interchange your favorite buckles. 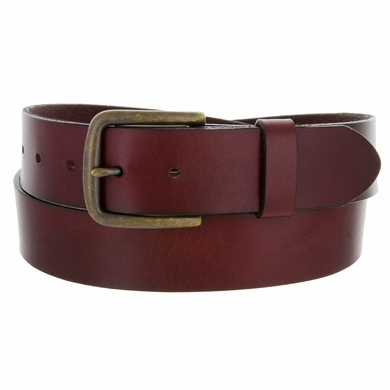 100% Burgundy Wine Full Grain Belt.